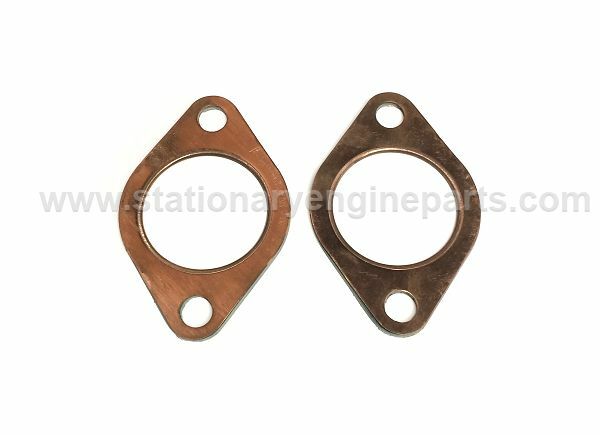 A pair of new gaskets for the Lister J valve plugs found on engines with a blind head. These gaskets are a non asbestos gasket material sandwiched between copper, with a copper fire ring. The bore of the gasket is 2". Note: These gaskets will require final trimming to fit correctly, due to minor variations in the distance of the gap between the holes on some engines, we felt it best to leave the final trimming to the end user. Please see the instructions in the photos for more details.